Changed your mind, you can return your product and get a full refund. What is Free shipping program? All orders of 200 SAR or more on eligible items across any product category qualify for FREE Shipping. You receive free shipping if your order includes at least 200 SAR of eligible items. Any item with "FREE Shipping" label on the search and the product detail page is eligible and contributes to your free shipping order minimum. What happens when I have an item in my cart but it is less than the eligibility threshold? You can get the remaining amount to reach the Free shipping threshold by adding any eligible item to your cart. Once the total amount of items (eligible for Free Shipping) is 200 SAR & above, you will get the Free shipping benefit. Should I pay a subscription fee to always have free shipping? No, you will enjoy unlimited free shipping whenever you meet the above order value threshold. Can I benefit from FREE Shipping internationally? Unfortunately, FREE Shipping is only available for standard domestic shipping. We’re working hard to make it available internationally soon. 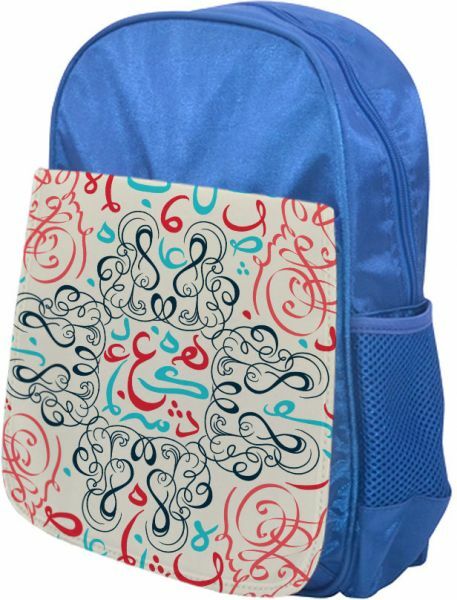 Fashion designed school bag, is for kids carrying their belongs. Featuring multiple zip compartments, Made from polyester, this light weight and durable backpack features the padded back straps and the side pocket. We will send you an SMS containing a verification code. Please double check your mobile number and click on "Send Verification Code". Your Mobile number has been verified!